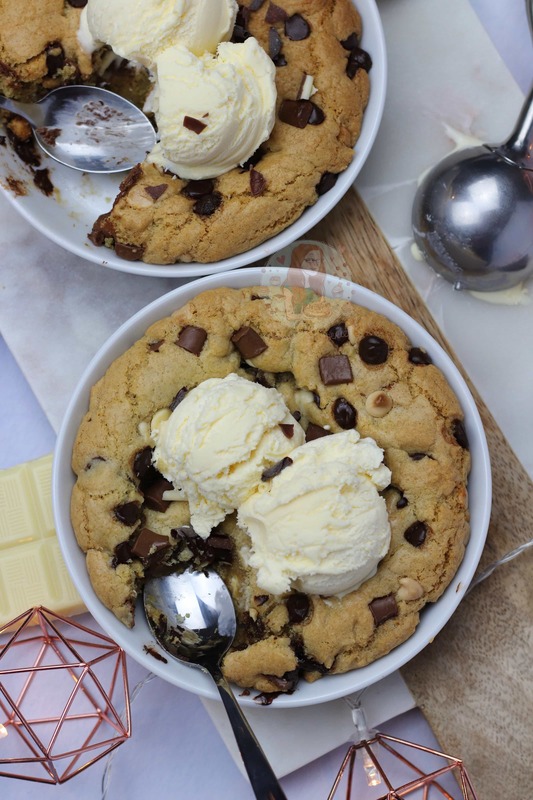 A Delicious Chocolatey Recipe for Two Individual Cookie Dough Desserts – just like the Pizza Hut one! Now, I realise this is the recipe you have been waiting for, as you know.. even by the name you want it. I teased my Instagram followers with a picture of this last week and with many messages basically saying “WE NEED THE RECIPE” I thought I would stop teasing and let you have it all. 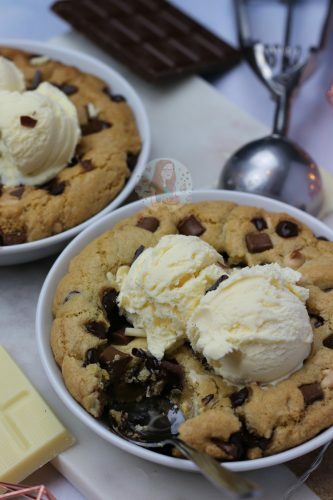 Also, with Valentines coming up, this dessert would be PERFECT for a night in with your loved on, or a friends if you’re not doing anything fancy! 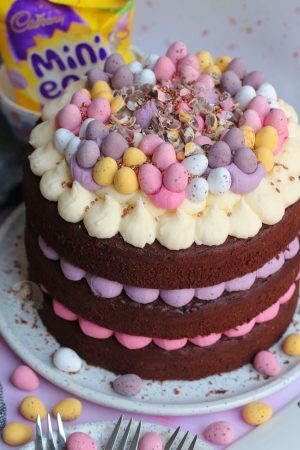 This recipe is super delicious and utterly addictive – serves well with ice cream and a drizzle of melted chocolate – utter chocolate overload but on the most loving day of the year, you’re allowed! 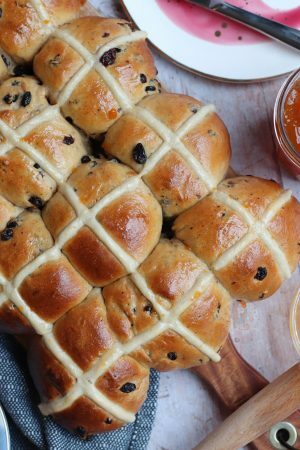 Honestly, I make these particularly gooey, but if you prefer it, you can bake it for longer. If you bake them and they cool too much, you can microwave them… either way, gooey is good. I served them with some dollops of Clotted Cream Ice Cream as there is nothing better to be honest, unless you want chocolate overload, or anything really, so you can use whatever… but, I love simple. I use a combination of all three chocolate types because I wanted it to be chocolatey and gooey and HEAVENLY which it was! 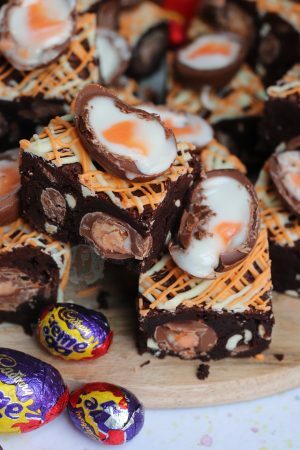 I’ve ended up making these so so many times, I just want more chocolate. If you wanted to serve more people, you can multiply the recipe up to get enough for four portions. 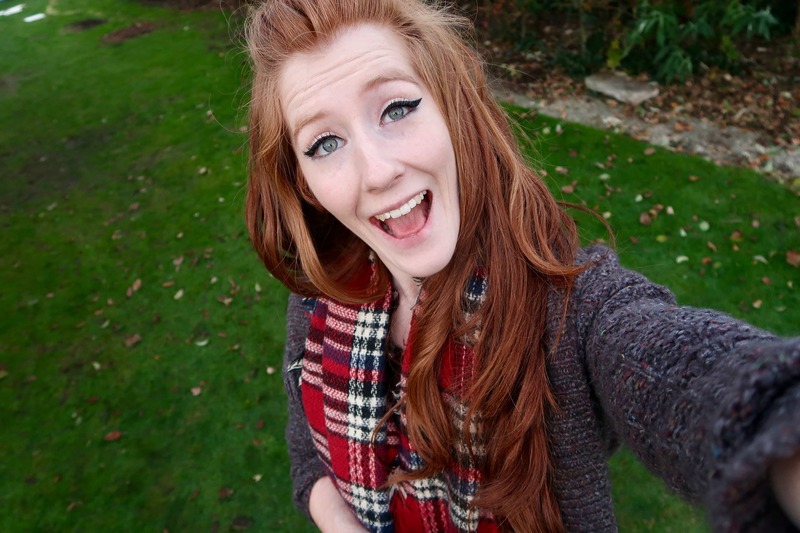 But for date night for example, this is a showstopper. 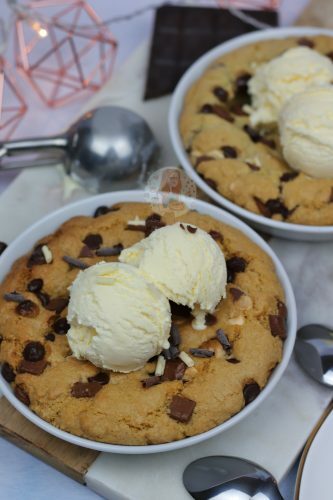 And, its guaranteed to be loved because who doesn’t love cookie dough?! This recipe makes 2 delicious portions! 2) Melt your butter, and add in the two sugars. Whisk together for two minutes till the sugar has dissolved somewhat. Add the egg and the vanilla essence and mix well again. 4) Divide the mixture into 2 Creme Brûlée Dishes – but if you don’t have any then you can use small foil trays as well! 5) Place the cookie dough in the oven for 12-15 minutes or until golden on top and just cooked through in the middle – the gooier the better! 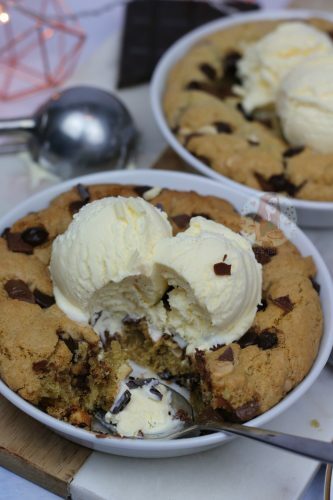 6) Remove from the oven and let it cool for a couple of minutes and then serve with a giant dollop of ice cream! For me and my Boyfriend, this is our favourite dessert to have at home, especially on Valentines as it is so gooey, so chocolatey, and so utterly scrumptious. You could swap out the chocolate for all white chocolate, all milk chocolate etc – its whatever you want really! 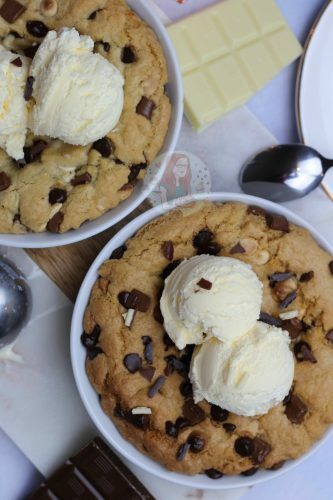 I’m not sure about the rest of the world, but in the UK at Pizza Hut you can buy cookie dough desserts – this is very similar to that! And you can make it at home yourself! Older Next post: Chocolate, Cookies ‘N Cream Ice-cream! Newer Previous post: Chocolate Shortbread Hearts! These look yum. I’m having the girls for dinner and would love to make this. However I don’t want to be in the kitchen baking, could I make the mixture in advance and bake when we are ready for them? Yes! You could make it and freeze the dough in discs, unwrap them and bake for about 2 minutes longer. 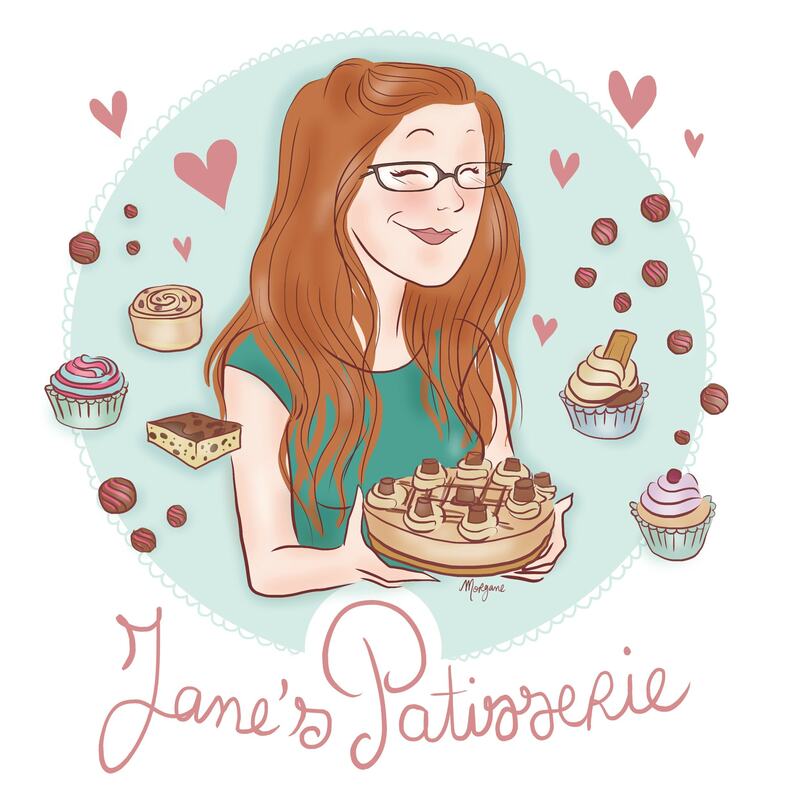 Hi Jane if I want to make 5 or 6 individual ones in 5 inch pie dishes how would I add more ingredients would I have to make the mixture twice? They’d be far too big, creme brûlée dishes are only about 4 inches in size and are ideal for this. Hi. Great recipe. I wanted to cook this in 1 dish. What size would you recommend & how long should I cook it for? Thanks. I wouldn’t know I’m afraid on cooking times as I have never tried it, but it would probably be best in an 8″ tin. Looks great! 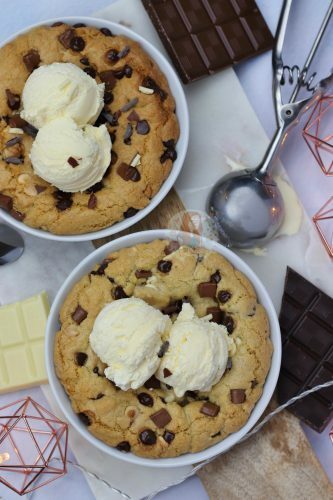 We love the Cookie Dough.. Lovely Pictures! Can I substitute the egg for something else? I’m afraid I’m not 100% sure on egg substitutes but there’s some good information on google about it 🙂 sorry I couldn’t help! That’s okay; thanks for letting me know. Hahaha it’s okay, I like to inspire in such a tasty way!! WHOA!! Looks fantastic, great pics!